Supermarkets including Tesco, Sainsbury's, Waitrose and Aldi have been forced to recall more frozen products over fears they may be contaminated with listeria. The Food Standards Agency has named more products that are being withdrawn from shelves after a food poisoning alert. 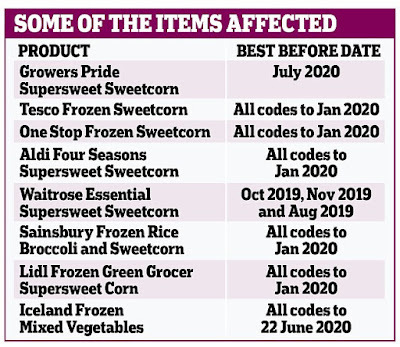 These include Tesco's Frozen Mixed Vegetables and Peppers, Lidl's Green Grocer’s Carrots, Broccoli & Sweetcorn, and Sainsbury’s Mixed Vegetables. 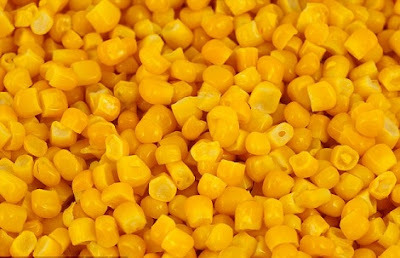 The additional products have been withdrawn after watchdogs named 43 types of frozen sweetcorn products last week that have been recalled over concerns they may be contaminated with listeria. More than 50 frozen products have now been withdrawn from supermarkets across the UK due to concerns they may be contaminated. The recall involves many own-brand products sold by leading supermarkets, such as Tesco, Sainsbury’s, Waitrose and Iceland, as well as brands such as Ross. Stores are clearing tens of thousands of packs from freezer cabinets, while shoppers can return products to get a refund. Contaminated sweetcorn has been linked to 47 cases of illness across Europe, including nine deaths. There are 11 known cases in the UK, although the real figure is likely to be many times higher. There have been two UK deaths, although both victims had underlying health conditions. Most people who contract listeria poisoning suffer no more than a severe headache, stiff neck and stomach upset – symptoms that recede after a few days. However, some people can develop life-threatening complications, such as sepsis.